For years I had the same recurring dream. I’d be walking through a space I had lived in, either in the past or currently, when a strange entryway would appear. It could be an unfamiliar passageway, a door I’d never noticed, or just an unexpected opening in the wall. Suddenly, I’d find myself standing in a vast space, one that mirrored exactly the one I’d just left but completely unoccupied. Of course, there was much more to it than that. I last had the dream more than ten years ago. In retrospect, it’s no surprise it reappeared at that moment in my life. I was mulling leaving corporate America and a publishing career that I’d loved and was good at. It offered challenging work and excellent pay, as well as security in the form of health insurance, paid vacations, and perks like educational reimbursement. A business card with the initials “VP” on it also afforded me a modicum of external validation. But internally something very important was missing. I needed more personally meaningful work. Oh! I’m not using my resources! A woman comparing detergents across the aisle and a clerk stocking a shelf glanced quizzically over, awaiting further explanation. I did not have time to elaborate – I was connecting dots. Other times of big life decisions came into view and they, too, had been hampered by weeks, months, sometimes years of indecision, inaction, and seesawing between progressing forward and backing up or shutting down. Here’s the thing about change: humans are creatures of homeostasis, that tendency toward equilibrium. We have a predilection for the predictable. Habits become ingrained and familiar, despite being harmful, non-productive, or contrary to our higher aspirations. We get stuck in the comfortable, even when it isn’t, and forget about that we have a multitude of untapped vision, talent, history, experience, and resilience to draw from. That was the message I had been missing: You have unused capacity–lots of it. 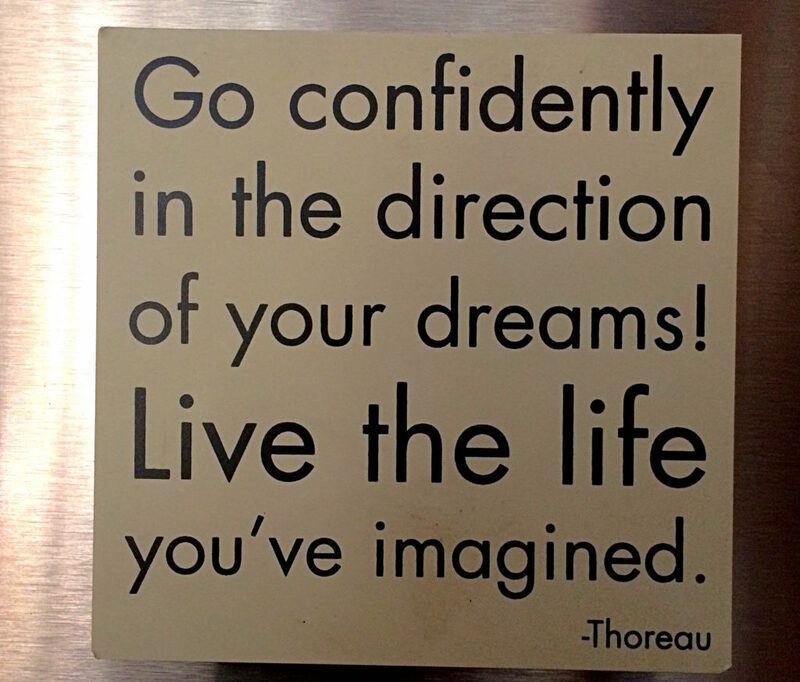 You can Go confidently in the direction of your dreams! AND Live the life you’ve imagined. AND there are plenty of resources available if you will just open your eyes to all that is already within you. My dream was telling me to wake up. How about you? Has your subconscious–or your refrigerator–been trying to nudge you toward a great new adventure? Are you using all of your resources? 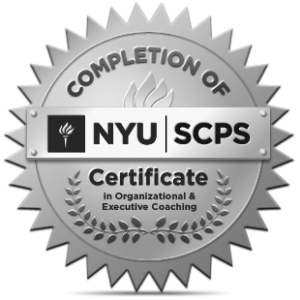 If you need help from a coach who’s been there, give a shout. I can help! Loved your article on Notes on the Refrigerator, especially the mention-or, is it a reminder, that we already have so much within us. It coincides with a book I am reading, “Savor”, that also reminds me of the same message. Thanks! Hi Pat, I love that book! And glad you liked the piece.